Would It Be Cheaper to Build or Buy a Building? Whether you're buying or building your next home, there are several factors to consider before taking the plunge. 2. Do Architectural Shingles Add Value to a Home Appraisal? Let's say you’re in the market for a house and you're pondering whether to build a new one or buy an existing one. Either way the decision ultimately boils down to cost. However, cost can be calculated in many ways so it’s a good idea to make sure you’re thinking it through before committing yourself either way. There are two main advantages to building a new house instead of buying an existing residence. The first is customization. You can get exactly the home you want without having to adapt to something that’s already in place. From a cost standpoint, however, the major advantage is that building lets you take advantage of the latest construction and appliance technologies. Newer homes are generally more energy efficient than older ones and, as Ben Franklin said, a penny saved is a penny earned. There are some disadvantages to building a home from scratch. The costs include the price of the land and of connecting to water and sewer lines. Those utility connections can be expensive and might not be available at all in rural areas. If that's the case, you’ll need to add the expense of drilling a well and installing a septic system. Time can also be a factor as it can take as long as six months, maybe even longer, to complete construction. You should also plan for a temporary place to live in case your old house sells while you’re waiting for your new one to be finished. Make sure to factor in the cost of commuting if your new home is farther from work, shopping or schools, which can result in higher transportation costs. Depending on the housing market where you live, it can make sense to buy an existing home. One advantage is that an existing home is part of an established neighborhood, so you can get a sense of what the community is like beforehand. 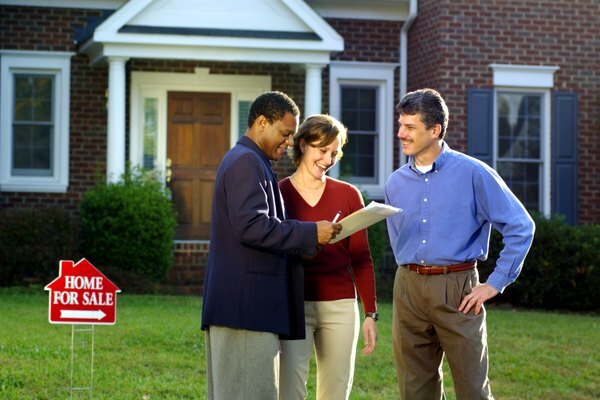 In addition, you can normally move into an existing home much more quickly than a new one. In many instances you can move in as soon as you close, which can save money on intermediate housing. Another factor is that in some cases an existing home will come with some furnishings included, which you would have to buy yourself if you built a new house. These items can quickly add up. When you buy a house you'll inherit anything that’s wrong with it as part of the purchase price. That means getting a thorough inspection should be at the top of your to-do list. It should reveal any major deficiencies and you can negotiate with the seller to either have them fixed or get a lower price as a result. Of course, there’s always the chance that something could be missed, or that something that seemed minor at the time turns out to be major. Also, an older home may not be as energy efficient when it comes to the appliances, windows, doors, and even insulation. These can end up costing you a lot of money over time. Most of the considerations above come into play when it comes to commercial property as well, so be vigilant when looking at cost factors in that area as well. The money you save will be your own. U.S. News & World Report: "Build or Buy: A Housing Market Dilemma." GoBankingRates.com: "Is it Cheaper to Build or Buy a House?" HomeInsight.com: "Existing Home versus New Construction: What are the Pros and Cons?" Why Are Homes Cheaper in the Country Than Bigger Cities?